Item # 308583 Stash Points: 5,995 (?) This is the number of points you get in The Zumiez Stash for purchasing this item. Stash points are redeemable for exclusive rewards only available to Zumiez Stash members. To redeem your points check out the rewards catalog on thestash.zumiez.com. 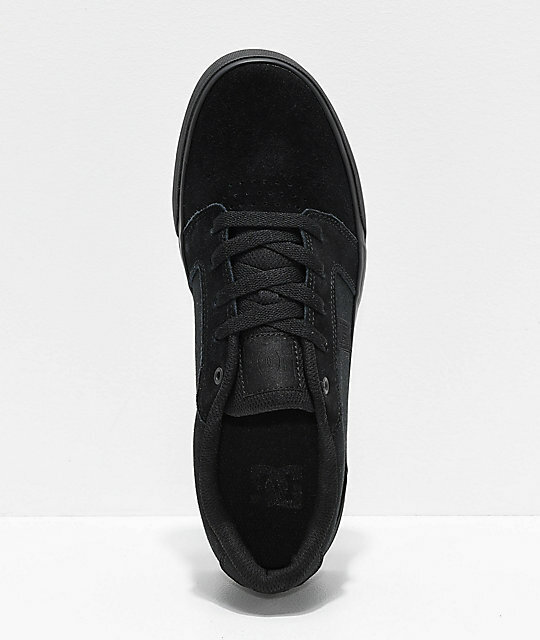 Upgrade your skateboarding skills or just your every day comfort with the clean style of the DC Anvil TX SE All Black Skate Shoes. 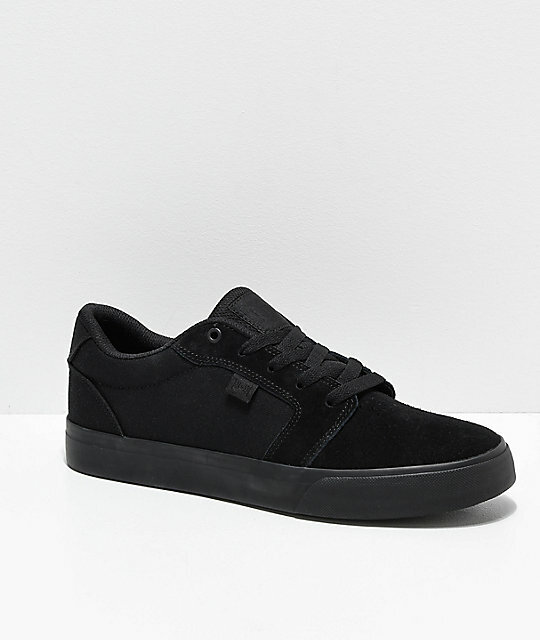 These all-black kicks feature a vulcanized construction to maximize board feel, while a breathable mesh lined interior keeps your feet comfortable through all-kinds of athletic activity. 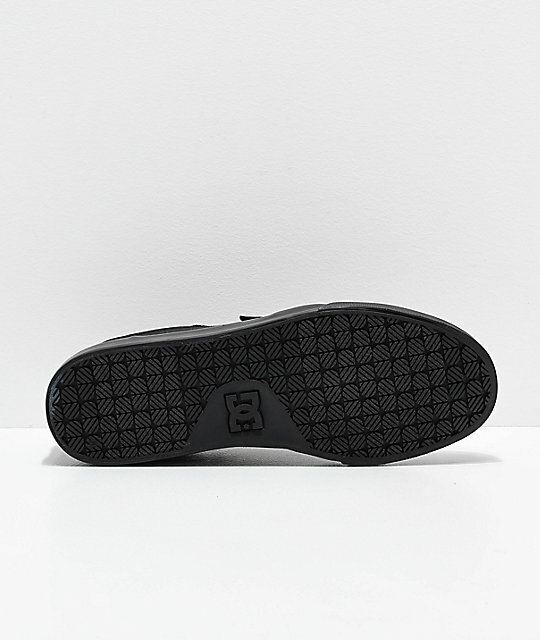 Finished with a padded footbed, tongue and collar, these shoes are prepared to keep you comfortable through heavy skateboard sessions and long walks to the bus stop alike. 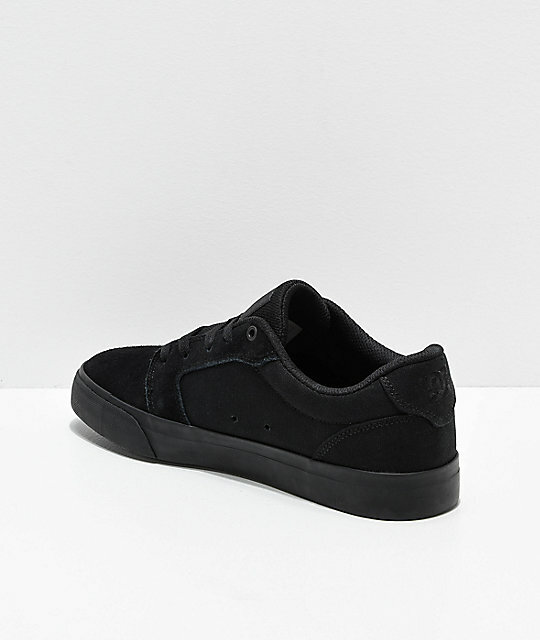 Anvil TX SE All Black Skate Shoes from DC. Soft textile upper with reinforced double stitching details throughout. Lace closure with reinforced metal eyelets. Lightly padded tongue and collar for support. DC Pill tread pattern for grip.